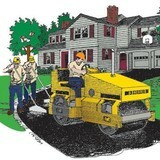 Driveway Contractor LLC brings over 35 years of expertise to your project. We would first like to thank you for the opportunity to bid on your project.
. We are a fully insured and licensed Contractor in the state of New Jersey. We are able to provide proof of both if necessary. Driveway Contractor LLC uses state of the art technology to ensure each project is executed efficiently and in a timely manner. We take pride in our customer service and keep contact with each homeowner to have a full understanding of your project. If any changes are to be made during the process, we will gladly accommodate your needs. We are available to help if any problems with the materials used at your job arise in the future. Most paver manufacturers offer a life time warranty. When we are finished with your project we will blow off and hose down the work area so you may enjoy your project the moment we leave your home. Welcome to ALL NASSAU PAVING INC. We Specialize in Long Island Home Improvements Such as Driveway Paving and Masonry Design and Installation. We serve communities all across Nassau County, in all aspects of Long Island Paving that Includes Home Improvement and repair. From custom brickwork and pavers To asphalt and concrete, We are a fully Licenced and Insured Company. We stand by all our Work and give 5 years Warranty ALL NASSAU PAVING INC provides free estimates at your home or business seven days a week. With experienced employees, and a knowledgeable staff ALL NASSAU PAVING INC. Knows your home is your greatest investment and Choosing the right Paving Company To protech and enhance your investment is important So choose ALL NASSAU PAVING INC. for the job to be on time and in budget. 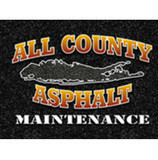 We are a full service asphalt driveway and parking lot maintenance company. We specialize in Sealcoating, asphalt repairs, crack filling, line striping, basketball court layout, power washing, Belgium block and paver repair, epoxy garage floor coating and much more. 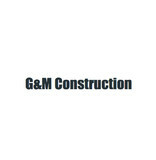 G&M Construction was established 10 years ago by owner George Souter. George has 20 years of experience working in this field and knows what it takes to complete a project with great craftsmanship. G&M Construction focuses on one job at a time, not starting another until the first one is done. G&M Construction aims to serve each client with great customer service ensuring they are happy with their project. You will never have any problems with George or the team. One quarter of the bill is paid before the job is started so we can get all the material. The rest of the bill will be paid for when the project is completed. The Grasso Companies is a dedicated team that is passionate about delivering quality and exemplary services within the construction industry. The Grasso construction team works closely with engineers, owners and technicians on every job to ensure that our exacting quality control standards are met each and every time. While "under construction," your project will be subject to these exacting quality control standards. The requirements of the project may change, but for The Grasso Companies, the principles of business, quality, and safety practices remain the same. At The Grasso Companies, we work smarter to complete the project faster without sacrificing quality. Every Grasso customer, no matter how large or small the project, can expect the same high standards of service and quality. During the past 30 years, The Grasso Companies has proudly worked with thousands of Fairfield County homeowners and hundreds of businesses throughout lower Fairfield County, Connecticut. We service condominium and apartment buildings, office buildings, arts and entertainment centers, schools, businesses, churches and more. If you need a turnkey site management contractor, call The Grasso Companies. We are a professional pool building company as well as hardscaping company servicing New Jersey area. With a considerable number of years of experience behind us and many satisfied clients after, we offer you thoroughly professional and expert services in pool building, hardscaping and landscaping. where we combine over three decades of pool building experience and over a decade of total backyard solutions in New Jersey. Our luxury in-ground gunite swimming pools are of the highest quality in New Jersey. With personalized service, creative designs, and superior materials, Paver Pros will create a very high quality custom pool, and at a very competitive rate to other custom pool builders.We are in the business of regularly installing interlocking pavers, building pools etc. Each and every project undertaken by us is considered to be unique by us and is given our full commitment.We have the workmen and the masonry expertise to install any manufacturer’s pavers, be it brick pavers or stone pavers. We have perfected the art of laying down stones or brick pavers and our designers will work with you to create the most stunning and durable patios, walkways or driveways. Since we own all types of equipment necessary for these projects including excavation equipment, we save time and money. Open communication, timely completion of projects and personal integrity are the hallmarks of our company and we would like the opportunity to be of service to you in any of your hardscaping or landscaping projects. Thank you for taking out the time to visit us. Darien Asphalt Paving and Excavating Inc. has been serving lower Fairfield County homeowners, businesses, local municipalities since 1956. We hold an A+ rating with the Better Business Bureau. Our mission at Pioneer Paving Inc. with every project is to provide our customers with the best paving solution and installation services at a fair price. When you need paving work done, your only choice should be Pioneer Paving. Because when you hire us, you will get friendly, professional service and expert workmanship every time. Pioneer Paving Inc. located in Kings Park, NY has been providing quality paving contracting to both commercial and residential clients for the past 25 years. Pioneer Paving Inc. is a licensed mason and asphalt paving contractor in both the Nassau and Suffolk county areas of Long Island, NY and a Better Business Bureau member. Our long years of experience continued commitment to excellence ensure that your paving or masonry project will be completed with the care and competence that only Pioneer Paving Inc. can provide. From driveways, parking lots, and roadways to tennis courts and stonework, Pioneer Paving has the talent and equipment to make sure your job is done affordably and effectively. Our equipment is well maintained to ensure the best quality and reliability for our customers. Bio-Safe One has created a natural, safe and better way to clean the environment, decontaminate the waste, eliminate pumpouts, reverse septic failure and solve septic tank problems! Howard Paving & Excavating Co., Inc. is a family-owned and operated business serving the commercial, industrial and residential markets in New Jersey since 1984. With more than 30 years in the business, highly-skilled professional staff and the use of state-of-the-art technology, we thrive in exceeding the expectations of our clients. Tino IA Contracting is independently owned and operated. We are Masonry Experts, specializing in Interlocking Brick Pavers, Stone work, Brick work, Walkways and Pathways, Decks, Patios, Swimming Pools, Stoops, Driveways, Cobblestone Aprons, Retaining Walls, and more. We have been in business for over 30 years, offering quality craftsmanship and competitive prices. Tino IA is licensed and insured. What types of services do driveway contractors provide? From installation to repair, Bayonne, NJ driveway contractors are responsible for a variety of planning, installation, construction and driveway maintenance services. Driveway installation. Before work begins on a new or replacement driveway, your professional should create plans based on your needs and material choices, as well as your property grade, soil and other New Jersey landscape factors. When it comes to the actual driveway construction, driveway contractors are responsible for preparing the site, obtaining the necessary materials, making sure a strong foundation is laid, operating equipment and heavy machinery, and cleaning up the site afterwards. Driveway paving. Your professional will first remove any current driveway surface and make sure the land is even, properly graded and that the base soil or surface is compacted. Crushed rock is then poured onto the base material and packed in tightly. Asphalt is then applied and compacted with a heavy roller machine, which makes it smooth and flat. Lastly, the edges of the driveway should be treated and the asphalt should be at a 45-degree angle at the edges. Driveway sealing. Sealcoating is a process aimed at protecting your asphalt or concrete driveway from the elements. Your driveway professional will first prepare the pavement, which includes eliminating stains, filling cracks, patching potholes and cleaning the surface, and then apply the sealer, which will need to dry for at least 12 hours. Driveway resurfacing. This process, also known as an “overlay,” consists of replacing the top layer of the driveway. A more cost-friendly option than a complete driveway replacement, and a more effective long-term solution compared to patching, resurfacing involves installing a new layer of material (usually asphalt) over the existing pavement, which leaves the driveway looking brand new and the damage covered. Driveway materials. 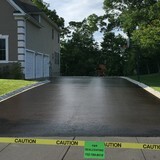 While most driveway contractors in Bayonne, NJ primarily work with asphalt, they are also experts on the wide range of available driveway materials. If you are looking for something different than a standard asphalt driveway, your pro can help you select driveway pavers or customize a brick driveway design. A driveway installation and maintenance professional may work closely with a Bayonne, NJ builder, landscape professional or various manufacturers and suppliers. Here are some related professionals and vendors to complement the work of driveways & paving: Stone, Pavers & Concrete, General Contractors, Landscape Contractors, Siding & Exteriors. Do you specialize in a specific type of paving? May I see examples of previous projects? How long will it be until I can use my driveway after the project? Find a Bayonne, NJ driveway installation and maintenance professional on Houzz. 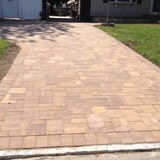 Narrow your search in the Professionals section of the website to Bayonne, NJ driveway installation and maintenance. You may also look through Bayonne, NJ photos to find examples of driveways that you like, then contact the professional or contractor who worked on them.